Ready to sew up some sweet handmade spring gifts? This one highlights your most adorable scraps and is easy enough for beginning sewists! A little applique makes it perfectly snuggle-able. 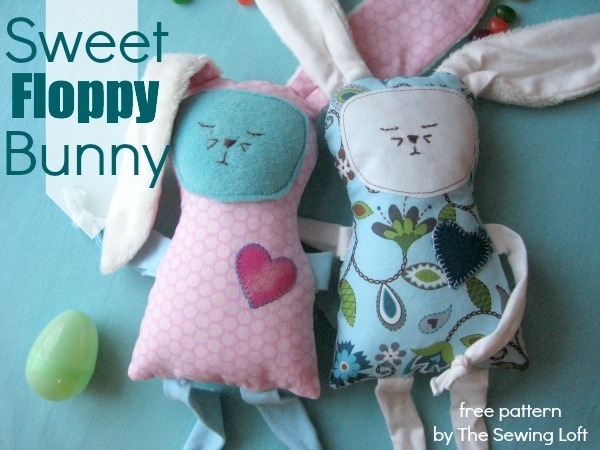 Run over and grab the FREE downloadable floppy bunny sewing pattern and tutorial at The Sewing Loft!